Saturday May 25th ! 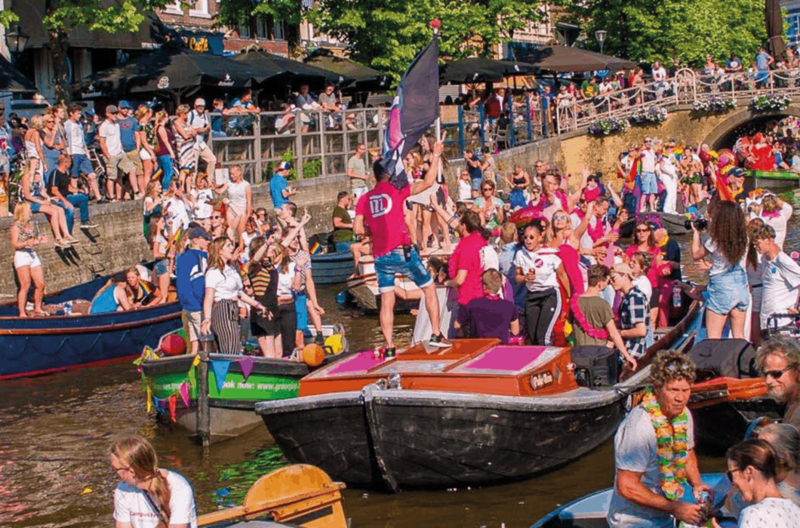 From 4 p.m. - 6 p.m. we sail with cool decorated boats through the canals of our beautiful town. Each boat has a street act, music, cool box and snacks. .
For € 25 per person you have a unique experience, not to mention a nice afterparty on Mata Hariplein with beautiful people and nice tunes.